Recently Ian and I visited Kirsten, Nick, Ashar and Trevor at the wonderful Milkwood property outside of Mudgee. We were all having a cup of tea after touring the farm, and chatting about P.A. Yeomans and the wider Yeomans clan. All of the sons (Neville, Ken, Allan) have gone on to do interesting things with their lives. Each of the sons contributed to P.A.’s book The City Forest (which I explored here): Ken wrote a back-cover-blurb entitled “For Youth”; Neville wrote the Foreword; and Allan the Afterword. This book of my husband’s is the natural outcome of the results of “The Keyline Plan”, published in 1954. So there you go! Yeomans’ wife WAS heavily involved in what was going on in the “family business”. This is evidenced by the rest of the foreword. (You can read the whole thing here. Check out the handsome book cover, here). The interest shown in [P.A.’s] efforts over the last four years has been outstanding, and visitors from all over the world have continued to visit our places. His Keyline Plan has been admired, condemned, criticised, accepted in part and even pirated in part. Many have tried out sections of his plan on various types of properties and farms, and where faithfully carried out, has yielded results that have been more than satisfactory. My experiences […] have been interesting, sometimes exasperating, and often amusing. There was the woman who arrogantly demanded to be shown through the “Nevallan” home and became quite indignant when politely told it was a private property. A charming old lady in her eighties tramped around the paddocks and her interest and enthusiasm were infectious. Another, a woman doctor, became so keen during a visit that she vowed on her return to the country practice her land-owning patients should receive large doses of Keyline with her course of treatment whenever she visited them. Others arrive for a quick inspection, checking their watches on arrival and allotting perhaps a fifteen minute “stay”. These people usually are on their way from the city to their inland properties and the visit to our place is to be “just a passing look”. They generally remain for hours. One couple had four young children and a long journey ahead of them. They arrived about lunch time, but it was dark before the husband finally agreed to leave. His wife had my sympathy that day. The Ten Trustees of the Keyline Research Foundation taken at the second meeting of Trustees, August 1955. 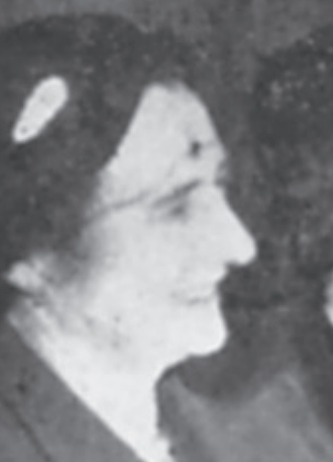 From left to right: Mrs. Rita Yeomans (my mother), who entertained, advised and catered for often up to one hundred unexpected visitors at the Nevallan farm – almost every week. In addition she was involved with the Flying Doctor Service, the English Speaking Union and the Country Women’s Association. She also managed the Brahman stud operation on the farm. Mrs. Anthony Horden, Jnr., managed her own Southdown stud at Culcain (N.S.W.) Anthony Hordern Jnr, President of the N.S.W. Sheepbreeders’ Association. A grazier running Merino and Romney Mash stud sheep, and also a beef cattle breeder. Professor J.R A McMillian, Dean of the Faculty of Agriculture at the University of Sydney. C.R. McKerehan, President of the Rural Bank of New South Wales. P.A. Yeomans (my father), President of the Keyline Foundation, Grazier, Mining Engineer, Originator of Keyline Plan, author of several books on agriculture. Professor Sir C. Stanton Hicks, Professor of Human Physiology and Pharmacology at the University of Adelaide, Scienti?c Food Consultant to the Australian Army and founded the Australian Army Catering Corps during World War II. David R McCaughey, (Sir) Chairman N.S.W. Elder Smith Goldsborough Mort, grazier of Borambola Park Beef Shorthorn stud, Wagga (N.S.W.). John Darling, Chairman and Managing Director of Darling and Co.Ltd (?our milling and stock-food ?rm). He was also director of various companies including British Petroleum Co. of Australia, Alcoa of Australia, Perpetual Trustees Australia, Consolidated Metals, and Commonwealth Mining Investments. Harold N. Sarina, Organizing Secretary Keyline Research Foundation. (former long term secretary of the Sydney Royal Agricultural Society, (R.A.S.) where he was Executive Of?cer and Registrar from 1933 to 1955. He was also an agriculture and livestock consultant. And G.B.S. Falkiner (not shown), of Haddon Rig Merino Stud, Warren (N.S.W. ), Vice President of N.S.W. Sheepbreeder’s Association, chairman of the Industrial Committee of the Nuclear Foundation and a member of the Council of the N.S.W. Bush Nursing Association. P. A. Yeomans married Jane Radek in 1966 and they had two daughters, Julie and Wendy. Anyway, at least this meagre piece of research goes a little way to answering Kirsten’s question about Yeomans’ wife/wives. It’s an important question to have asked, because this farming business can seem to be very much dominated by male forces (especially when big handsome pieces of earth-shaping machinery are in question). I hope more on Rita and Jane comes to light for us, while we continue to explore the world of Yeomans. 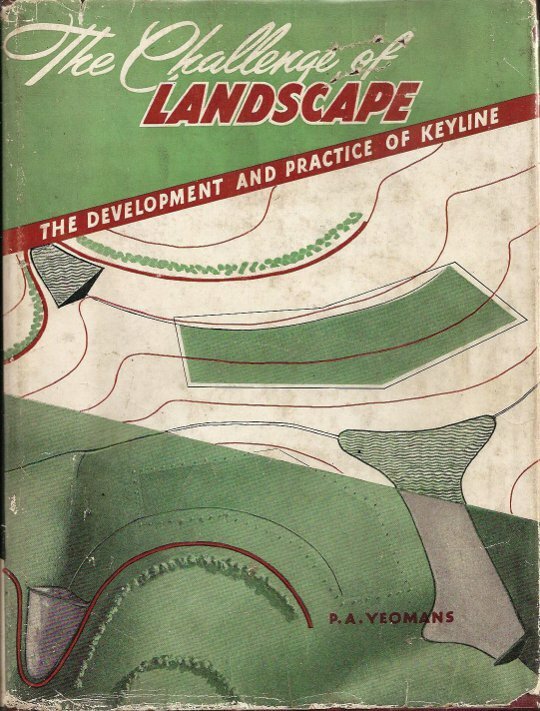 In his previous book, The Keyline Plan/em>(1954), Rita wrote the Foreword too! You can read it, here. Could you please tell me if P A Yeomans had 2 sisters, Florence and Merle? Flo, who married a policeman, “Lofty” Owers, was a great friend of my mother. Think I remember as a child, my mother telling a story of an incident in New Guinea with Errol Flynn and Flo’s brother. Could it be the same Percy Yeomans? Would love to know (in an email, subject: P A Yeomans), just for curiosity sake! Yes P.A. had 2 sisters Linda Merle and Floris (known by my husband Allan, P.A.’s second son, as Auntie Bub). He also had a brother James (known as Jim). P.A. was in New Guinea prior to the World War II and New Guinea only had a small population so there is every chance Errol Flynn and P.A. knew each other. Percival Alfred Yeomans was always known as P.A. He hated to be called Percy. Quite possibly, yes. In one of his books he refers to how, in PNG, he stumbled on a Eucalypt (there is a tropical species that grows up there) and felt compelled to immerse himself in its leaves and aroma. Came through Kurrajong for the first time in 40 years the other day and wondered about Nevallan. Questions answered here. Did buyers continue work is it all built on? I tried his principles on my farm at Tarcutta, just contour chisel ploughing with good results. Have evidence in aerial photos. Would appreciate info on those who have continued with Yoeman’s principles. They were most innovative and wise. Thanks Gerry, great to hear from you. Would be interested to see the aerial photos of your farm.